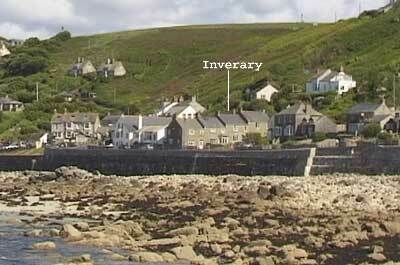 INVERARY is situated in a small terrace set well back from the road just yards from the beautiful sandy beach. The Old Success Inn is less than 100 yards away. This former granite fishermans cottage has maintained all its cornish charm and offers spacious accommodation for six people. 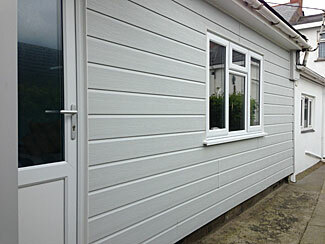 DRIFTWOOD is a contemporary newly refurbished chalet to the rear of the cottage and accommodates 2 adults. 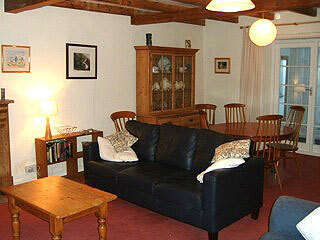 It is ideal for an extended family or just a couple wanting to get away from it all so can be rented separately. To the front of Inverary is a large patio area with umbrella, table and chairs, a magnificent place to sunbathe and perfectly positioned to watch the amazing sunsets with a glass of wine. To the rear is a large courtyard with rear access and plenty of room for surfboards. 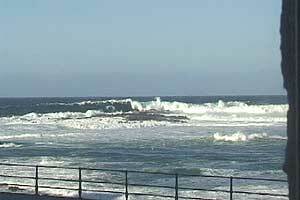 There are three bedrooms, one with a double bed and vanity unit, one twin bedded room with sea views and the third with bunk beds and also sea views. The third also has a cot. The family bathroom consists of a modern loo, bath and separate shower and downstairs there is a wet room ideal for coming off the beach with loo, shower and handbasin. 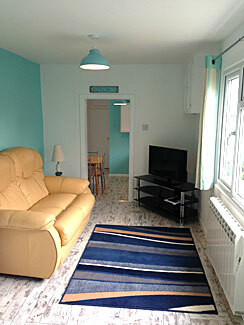 The spacious lounge/diner has fabulous sea views and is very comfortable with sofas, flat screen tv/dvd and wi - fi. There is a large pine dining table and chairs for eating in. There is a cupboard full of games and plenty of books to exchange. 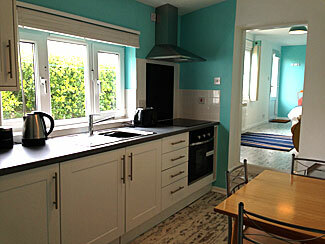 The modern kitchen has a pine table and stools and is well equipped with microwave, fridge/freezer, oven, dishwasher and washing machine.Inverary is a no pets, non smoking cottage and has just been fully re-carpeted and decorated and is bright and fresh. Parking is in nearby pay and display car park a few minutes away but there is plenty of room to unload outside. DRIFTWOOD is a self contained modern chalet. 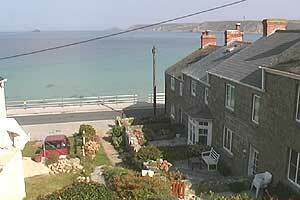 It has just been refurbished in a New England beach style and is on one level. 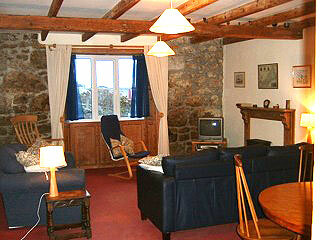 There is a large courtyard with shared access only for Inverary guests using rear entrance. Outside Driftwood has a table, umbrella and chairs for those al fresco days or nights and ample space for surfboards. 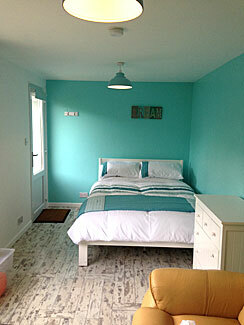 There is a large bedroom/living area with a double bed, leather sofa, flat screen tv/dvd and wi-fi. 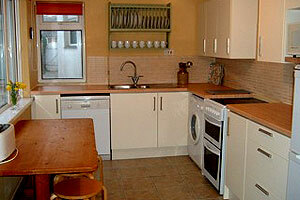 Two steps down leads to the brand new kitchen fully equipped with microwave, hob, oven, fridge and washing machine. To the rear of the kitchen is a new separate shower, loo and handbasin. Driftwood easily accommodates two adults but is not suitable for children. Bedlinen only is supplied.